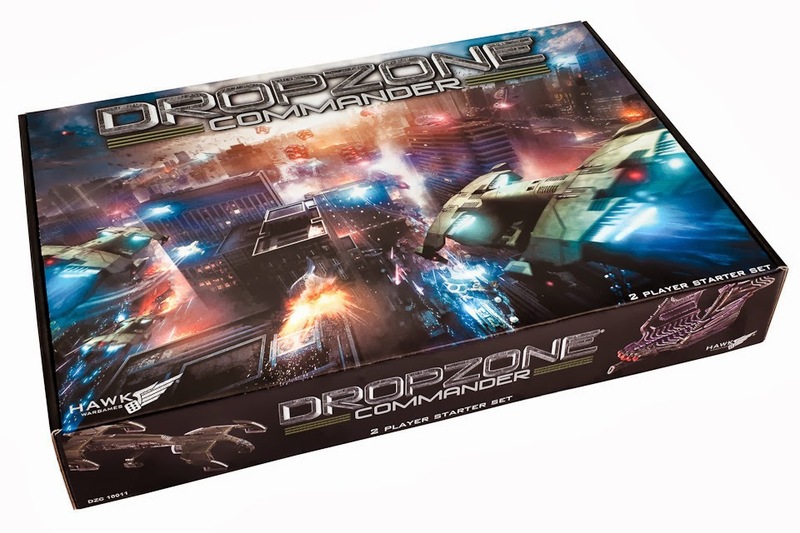 Rubén and I have speed painted the Dropzone Commander two player starter box. Here are the painted UCM Colonial Legionnaires. 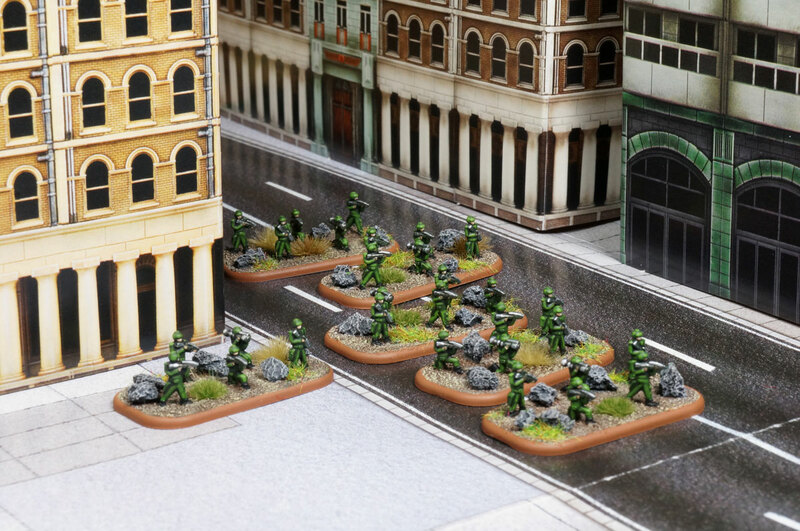 The box contains two starter armies for UCM (United Colonies of Mankind) and The Scourge, the bad guys. 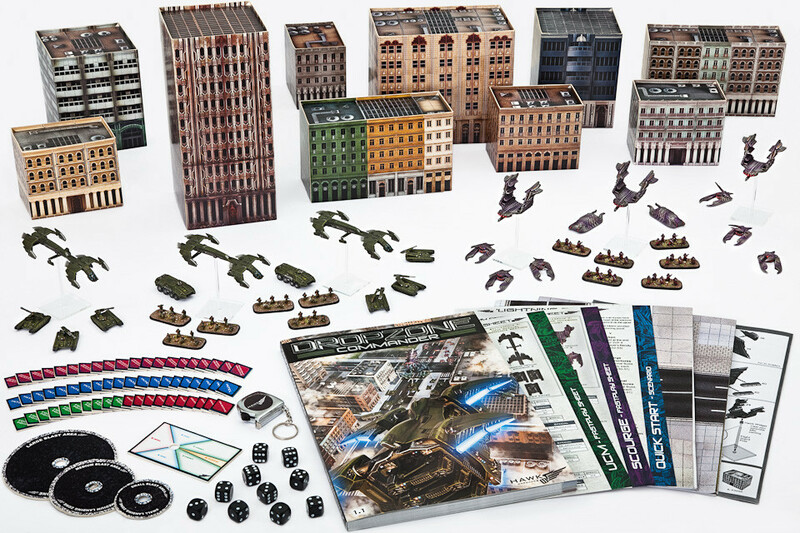 The box also includes many paper buildings, paper mat to build a 48″x33″ road layout, the 1.1 Rulebook, tokens, dice, reference sheets and a measuring tape. We are now writing a full review about the box, so I’m not saying many more things about it: it’s a great box with a great price. Full of fun. Lets get to the little soldiers of the ‘good guys’. These are the UCM Colonial Legionnaires. 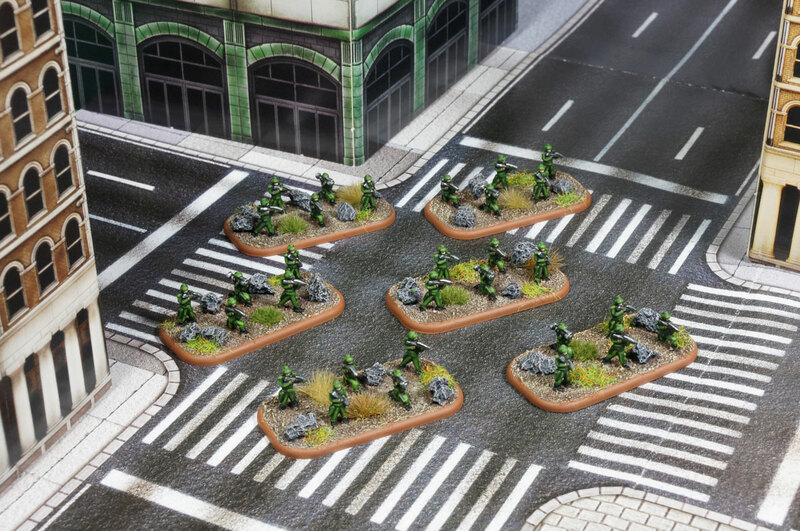 They can form squads of 2 or 3 bases. The box gives us two squads of 3 bases, with 5 soldiers each. So, the CQB value of 1 makes a 15 dice roll in close quarters fights. The Colonial Legionnaires are the worst infantry unit in the game. The Warrior Horde of The Scourge also has a CQB value of 1, but their Fortitude is 4+ instead of 5+ of the Legionnaires, giving them more options to continue fighting if half of the squad is wiped out. Their assault rifles shot 4 energy 3 shots with an accuracy of 3+. The Scourge Plasma Rifles shot 5 energy 4 shots with +3 accuracy. So, another better thing for the basic Scourge infantry. The Legionnaires also have the Phoenix Missile Launcher, with Energy 9. The paint work was really easy and fast. We used Vallejo paints and a Citadel wash: Medium olive and Olive Green for the Uniform, Nuln oil for the wash, Gunmetal and Silver for the weapons and Chocolate Brown, Iraqui Sand and Beige Brown for the bases. 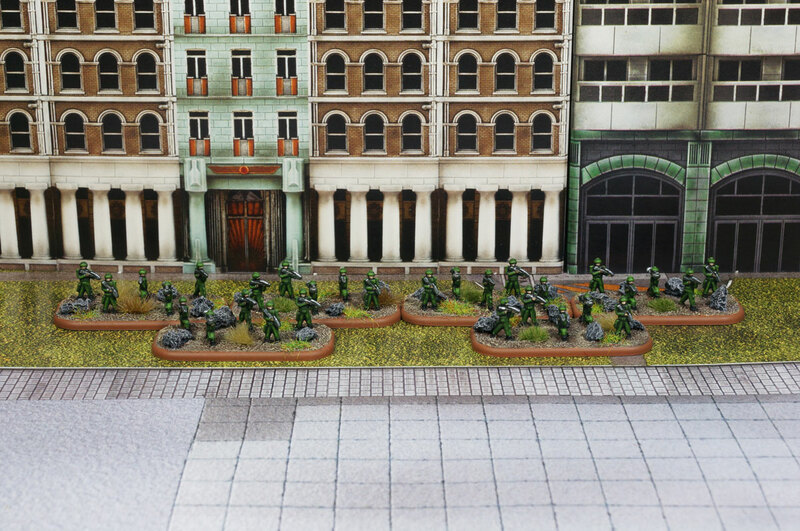 The vehicles of both armies are already painted and used to make demo games at GoblinTrader store in Madrid. We’ll try to take some pics to all of them.